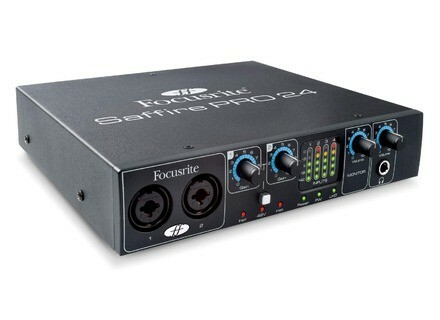 Saffire Pro 24, FireWire audio interface from Focusrite in the Saffire series. 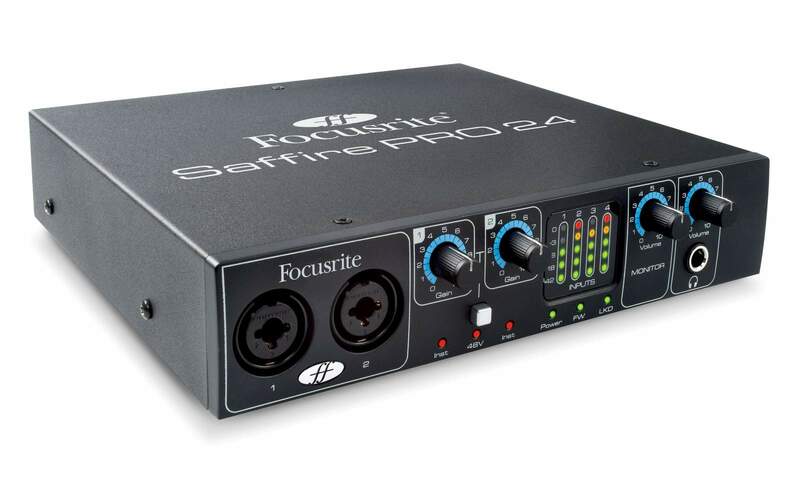 Focusrite’s new Saffire PRO 24 DSP is a 16 In / 8 Out FireWire audio interface that features real-time DSP-powered tracking and mixing solutions that are tailor-made for the modern home studio environment. Alongside DSP-powered Compression and EQ for latency-free tracking, there’s also a ‘Comfort’ Reverb and Focusrite's VRM – Virtual Reference Monitoring – technology that lets you hear your mix in different acoustic environments, through different speakers and from different positions, according to the company. All DSP-based signal processing and effects are derived from the ‘Focusrite Plug-in Suite’ (also included as VST/AU plug-ins) and are integrated within the Saffire Mix Control software, providing latency-free tools for tracking and monitoring, Focusrite says. The suite includes Compression, Reverb, Gating and EQ VST/AU plug-ins. I/O options include two additional analogue inputs, six analogue outputs, ADAT inputs (for expanding the interface with, for example, Focusrite’s OctoPre), stereo S/PDIF I/O and 2 virtual ‘loopback’ inputs for routing digital audio between software applications. Front panel 5-LED metering for each analogue input offers viewing of levels. Saffire Mix Control, the zero-latency 16 x 8 DSP Mixer/Router software provided with Saffire PRO 24 DSP, features flexible output routing and monitoring. Focusrite’s Xcite+ bundle is also included. The bundle features Ableton Live 7 Lite (for your production, performance and compositional needs), Novation’s Bass Station soft synth and about 1GB of royalty-free samples from Loopmasters and ‘Mike the Drummer’. For more details and pricing info, check out www.focusrite.com.